COP 15 Copenhagen Archives - Climate Justice Now!Climate Justice Now! The climate change talks have been going on for a long time. Since Rio in 1992, when the Climate Convention was adopted, there have been 16 Conference of the Parties (COPs). Then in 2007, a new round of negotiations was launched in Bali. 4. Next steps for CJN! How is CJN doing this? This is a compilation of the demands from small working groups. The final text was not debated. 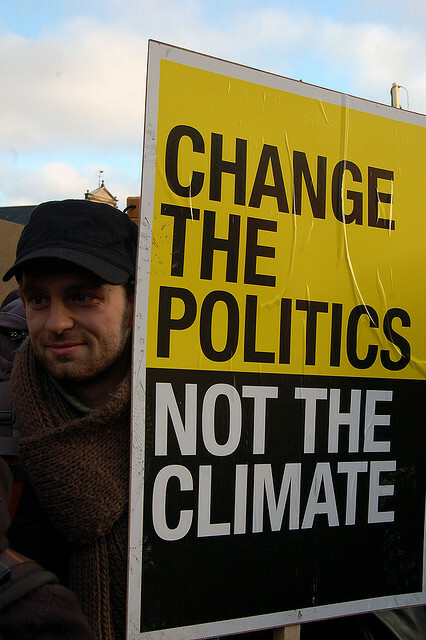 Change the current development paradigm – No to neo-liberal policies, no to trade liberalisation, demand for a just transition for a ‘renewably powered planet’. Recognition, respect and promotion of the rights of women and of indigenous, traditional populations and campesina/os over their territories and resources based on harmony with nature, respecting the rights of mother earth. 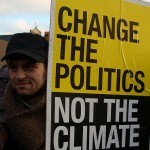 Respect the rights of those populations and other activists to resist and struggle against climate change. Full reparations for ecological and climate debt – reparations must be made in the form of deep and drastic GHG emission cuts in the North domestically & transfer of financing and technology to the South. There should be strong penalties for countries that do not follow targets. Reparations also means that funds for mitigation and adaptation cannot be based on debt creating loans or grants. IFIs out of climate – out of climate negotiations, climate funds, and projects that exacerbate climate change! Demands related to REDD might need further discussion: some groups advocated supporting the position of the indigenous peoples caucus, whereas others felt that CJN! could take a clearer “no carbon market” position. No to REDD in any form (1, 2, – + or whatever)! REDD is a false solution to climate change. It violates the rights of indigenous peoples, traditional populations and campesina/os over their territories.